I’m a very inquisitive Cat and so usually I like to find out a lot of interesting information about places, events and so on and so forth and then turn them into little jokes, you just have to read either ‘Getting Out Excerpts from a Cat’s Diary’ or ‘The Cat’s Travelogue’ to know that; which is why I think I have failed the entire American Nation today and that makes me at the very least very downcast. It seems a shame that there just isn’t much to say about Thanksgiving that is particularly interesting, weird or funny if, that is, you want to talk about odd traditions and practices and I do. Yes I’ll admit there are some strange Thanksgiving Day notions such as the one that says you have to knock a few times on wood before putting the Turkey into the oven so that it will be tender and succulent, to say nothing of the fact that it’s best to first check the Turkey’s pulse! But that isn’t really an odd tradition like the ones that lurk around old Europe as Pres. George Bush once called us lot over here. I’m afraid I have no idea which is right ‘Firstfooting or ‘First Footing’ because both words are always said with a Scottish accent which as we all know is very close to incomprehensible nonsense at the best of times and totally alien on New Year’s Eve due to the vast amounts of Scotch Whiskey consumed by the speaker which has an effect not only on the amount of slur added to a Scots persons speech but also the number of ‘o’s’ added to words that not only contain ‘o’s’ normally but ones that have never been spelt with an ‘o’ before! To say nothing of the fact that if you look up ‘Firstfooting or ‘First Footing’on the internet all of the results are in American from the awful Wikipedia to the Websters Dictionary they use ‘First-Footing’ with a hyphen between the words and that in the main apart from where it has been used for centuries in the surnames by a few mad aristocratic English families and more recently by a lot of ethnic unmarried couples, is an American invention. 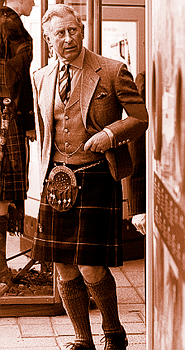 The only thing that is clear about ‘Firstfooting or ‘First Footing,’ as the picture below shows, is that you don’t have to be Scottish, look ridiculous and talk nonsense to join in the fun or indeed even wear a kilt! In fact it seems that the Scots didn’t invent the practice of ‘Firstfooting or ‘First Footing’ it gets its name from a Manx Gaelic word ‘Quaaltagh’ so it would seem that the Scots ‘borrowed’ the tradition from the Isle of Man. ‘Firstfooting or ‘First Footing’ is also practiced by the Serb nation who celebrate Polažajnik on New year’s Eve where they go to other people’s houses and get drunk. Even during the worst persecutions of their neighbours in the 1980’s the Serbs didn’t stop the custom. The Greeks use a word similar to the Serb ‘Polažajnik’ when they go from house to house getting drunk on New Year’s Eve it is ‘Podariko’ for any of you who are vaguely interested and aren’t wondering what on Earth this all has to do with Thanksgiving like I have to say the writer! So back to Thanksgiving! Happily (for me) I did discover one potential bombshell about Thanksgiving though and that is that if Thanksgiving has officially been an annual tradition since 1863, when during the Civil War, President Abraham Lincoln proclaimed a national day of thanksgiving to be celebrated on Thursday, November 26th 1863 it may not be a day of celebration for the whole country! I hear you ask what does that mad Cat mean? 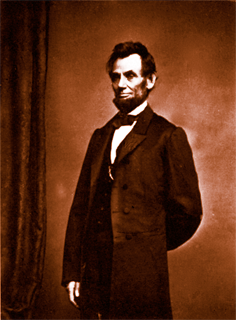 Well if President (of the Union States only) Abraham Lincoln proclaimed a national day of thanksgiving in the middle of the Civil War only the North would have observed it, I can’t imagine President Jefferson Davis and the rest of the Southern Nation embracing a Northern President’s ideas can you? 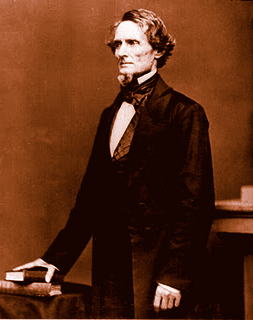 Not only that in 1861 President Jefferson Davis issued this proclamation about Thanksgiving Day which said it should be “a day of fasting, humiliation and prayer,” now that doesn’t sound like the sort of day that most Americans are going to have today does it? Although I expect it would make Turkeys all over the United States very happy indeed. The reason why the Confederate States of America celebrated Thanksgiving Day for the first time in 1861 was not really Pilgrim related either. It was to celebrate a series of victories by Confederate forces in the east and west of the CSA and that’s probably not something that dear old Abe had in mind when he ‘invented’ Thanksgiving in 1863 is it. So to lighten the mood and possibly to prevent a war between the south and north of America breaking out once again here are some Thanksgiving jokes. Because they couldn’t fit a Moose in the oven! Get it to eat lots of pizza and ice cream! If you do want to hear loads of exciting, unusual and generally hilariously dotty traditions, practices and other mad things that humans get up to, let alone this Cat, then you could do no worse than read either, or better still both, of my wonderful works of feline literary genius which happily you can find either as paperback or ebooks here! Lastly the really good news about Thanksgiving Day is that it was made in America (based on an English idea) and not made in China (copied from every nation’s original thought) and that means that it will last forever and not have been broken before it was taken out of the box, like all expensive rubbish that the hamfisted Chinese knock up over there!